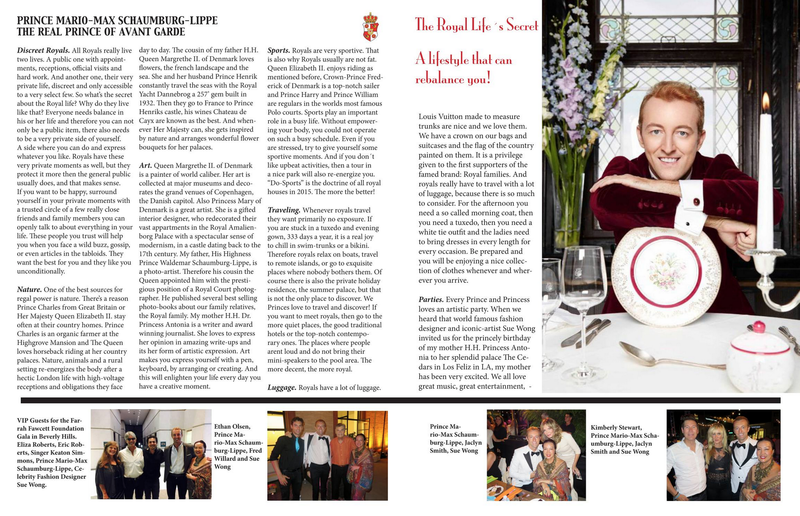 Prince Mario-Max Schaumburg-Lippe, cover columnist: My new cover-article “The Real Prince of Avant Garde” September 2015 arrived “A Lifestyle that rebalances you! 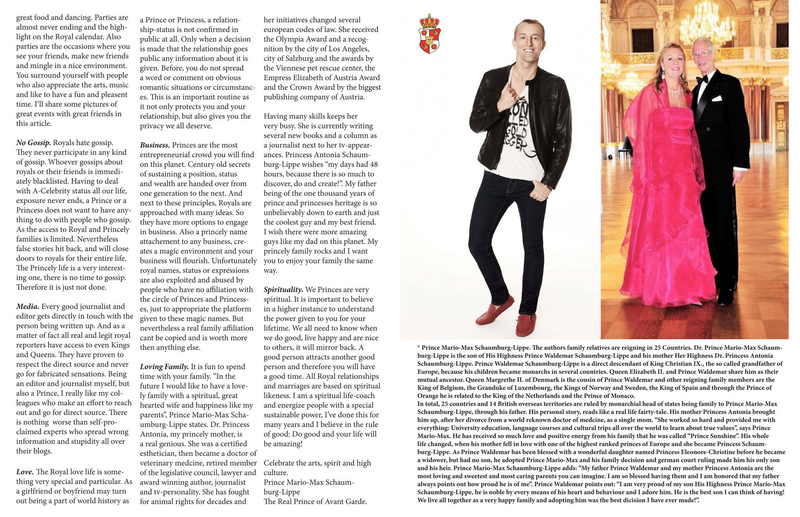 Fabulous cover with Dustin Quick and Medi EM, my article with gorgeous darling Sue Wong, Sue Wong, Sue Wong Public Figure ofwww.suewong.com who is well deserved Designer of the Year 2015 and even opening LA fashion week 2015 heart emoticon, Prince Waldemar Schaumburg-Lippe, Princess Antonia Schaumburg-Lippe and our family relatives Queen Margrethe and Henrik, Prince Consort of Denmark, actor genious Eric Roberts, divine actress Eliza Roberts, top-musician Keaton Simons, commedian genious Fred Willard Fred Willard, Jaclyn Smith and Kimberly Stewart. And order your printed issue delivered to your home too! 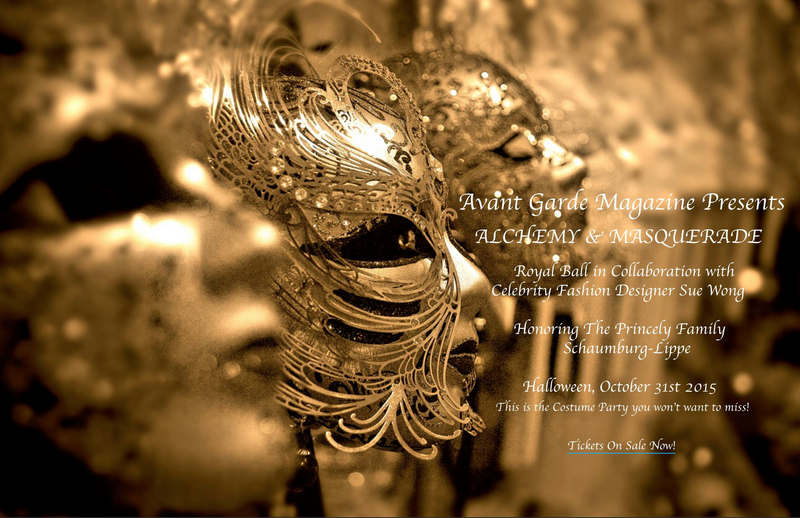 AVANT GARDE Magazine ALCHEMY & MASQUERADE PRINCELY BALL in collaboration with Celebrity Fashion Designer SUE WONG.